Thanksgiving is here and as is the new tradition coldLogic is kicking off the holiday shopping season with a ‘Black Friday’ sale starting on a Thursday! 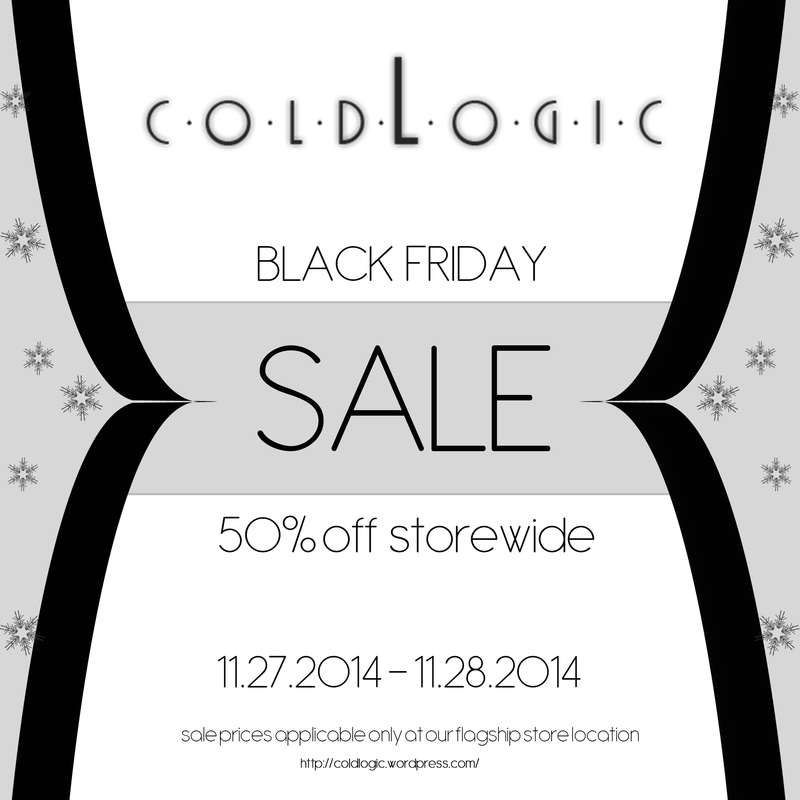 Take a trip to the coldLogic main store location today and enjoy 50% off the entire collection for a very limited time. This sale is only during Thanksgiving and Black Friday. We don’t know about the rest of the world but here in our neck of the woods it is getting so very chilly! Winter is over a month away but mother nature is giving us reason to break out those winter scarfs and bundle up. Head on over to coldLogic today and grab a brand new scarf and sweater combination to keep yourself warm and cozy as the temperatures drop! All available now at the main store and on the marketplace!